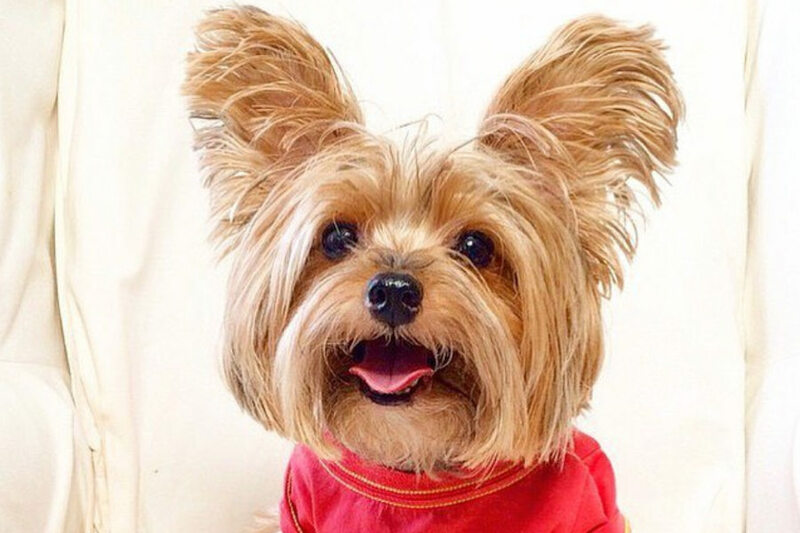 Yorkshire Terrier Temperament - helloBARK! Yorkshire Terriers are one of the most popular dog breeds in the world. Their small size and elegant appearance make them a big hit with people of all ages. They’re ideal for seniors who are looking for a dog that is relatively low maintenance and doesn’t require a lot of exercise. For families with older children, they’ll make loyal pets that relish attention from humans. Yorkies are a great option for those living in an apartment in big cities with limited space and confined areas to exercise these dogs. Before you decide to go ahead and bring home a Yorkshire Terrier, you should learn a little more about the breed. • Where do Yorkies come from? • Do Yorkshire Terriers like to cuddle? • Is a Yorkie a good family dog? • Are Yorkshire Terriers easy to train? • Are Yorkies jealous dogs? • Are Yorkshire Terriers brave? • Do Yorkshire Terriers bark a lot? • Are Yorkshire Terriers good with other pets? Where do Yorkies come from? Yorkshire Terriers originated in the northern town of York in England (as their name suggests). Their descendants were brought down to Yorkshire from Scotland by millers looking for work in cotton and wool factories. Yorkies were used to hunt small rodents such as mice and rats due to their nimble size. However, it wasn’t long before the Yorkshire Terrier found their way onto the laps of Victorian ladies. Proving to be great companion dogs, the Yorkie is the ninth most popular dog in the United States. Do Yorkshire Terriers like to cuddle? If you’re looking to bring a small dog home, the odds are that you’d like them to act as a companion pet rather than a guard dog or watch dog. Cavalier King Charles Spaniels and Pugs are two examples of small breeds that love nothing more than to snuggle up with their human companions. The Yorkshire Terrier is no different – they like to give and receive affection in equal measure from their fellow family members. They quickly become attached to their owners, resulting in a permanent shadow around the home. When you think of smart dog breeds, you’ll probably consider the Border Collie, Poodle or German Shepherd. The Yorkie doesn’t rival those three breeds in terms of intelligence, but they hold their own. According to “Intelligence of Dogs” (written by Stanley Coren in 1994), the Yorkshire Terrier is the 34th most intelligent dog breed. That means that a Yorkie should learn a new command within 15 to 25 repetitions, while they’ll obey the first command 70 per cent of the time. So they may be small, but Yorkshire Terriers are reasonably smart dogs! Is a Yorkie a good family dog? Whether a Yorkie is a good fit for your family depends on your circumstances. These little dogs do require a certain amount of care and respect. They may not be suited to a home with small children who are too young to be educated on how to handle a Yorkie. Given they used to hunt mice and rats in the 19th century, Yorkshire Terriers can have a feisty side, too. We urge parents never to leave their children unsupervised with any type of dog. For families with more mature children, Yorkies should do fine and enjoy play time as long as it’s not too boisterous! Yorkshire Terriers are usually very social dogs so they like to be in the company of humans or other canines. They’ll make excellent companions for senior members of the family. Are Yorkshire Terriers easy to train? As we mentioned above, the Yorkshire Terrier has earned a reputation for being a pretty bright dog. They should do well learning basic obedience from a young age with consistent and patient practice. The one area of concern with Yorkies is potty training. They’ve got a reputation for being slow learners in this particular area. Yorkshire Terriers are sensitive to cold conditions so some don’t like to go outside to do their business. A quick Google will highlight that house breaking can be an issue with this breed. While Yorkshire Terriers can be great companion dogs, that can sometimes spill over into jealousy. For that reason, it’s a good idea to socialise a Yorkie with as many people as possible from a young age to get them used to meeting strangers. Don’t be fooled by their size, Yorkshire Terriers are brave little dogs. There are numerous tales of their heroic exploits on the internet, including Smokey, a World War II hero. 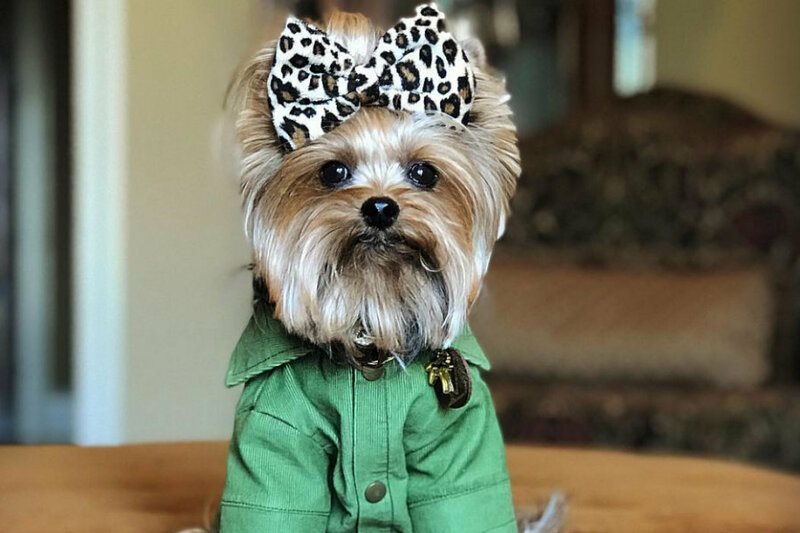 Not to be underestimated, Yorkies aren’t afraid to alert their owners if a visitor is at the door. You’ll need to keep an eye on a Yorkshire Terrier at the dog park as they aren’t scared by larger dogs! Do Yorkshire Terriers bark a lot? Yorkies do have a reputation for being dogs that tend to bark quite a lot. They can make good watch dogs as they’ll alert their owners to an unexpected visitor at the door. These alert little dogs could get you in trouble if you live close to neighbours. You’ll need to train these little Terriers from a young age to ensure excessive barking doesn’t become a problem. Are Yorkshire Terriers good with other pets? Yorkies usually do well with other dogs or cats in the home. To increase the chances of a harmonious relationship, it may be advantageous to introduce pets at a young age. Of course, a large dog could inadvertently injure a small dog during a bit of roughhousing, so that’s something to keep an eye on. Yorkshire Terriers don’t require a lot of exercise, so they’re an excellent option for seniors. A couple of short walks a day should suffice for this breed. If you bring them to the dog park, try to avoid going into the big dog section. Their delicate frames mean they’re quite prone to injury. If you’re looking at the Yorkshire Terrier as a pet, you’ll be getting an affectionate, loyal and quirky companion. They love to be the centre of attention, but Yorkies are also happy to cuddle up with their owners on the sofa. For families with small children, Yorkshire Terriers aren’t a good fit because of their small size. These dogs have a relatively long lifespan of between 13 and 16 years. So if you decide a Yorkie is the right breed to bring home, you’ll be guaranteed a sweet dog for a good portion of your life.